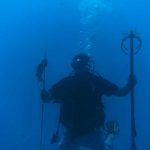 Spear fishing has always been a passion for Capt. James. 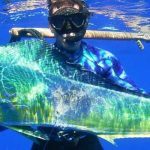 Whether freediving predators in the deep, Scuba diving the deep reefs and wrecks, or having fun freediving on the shallow patch reefs, it all is a blast with Capt. James! 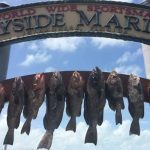 Safety is the number one priority at Catchalottafish Charters whether diving or fishing. There are plenty of opportunities for beginners to advanced divers, and fun to be had by the whole family. Capt. 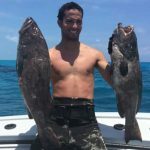 James has been diving the waters of the Florida Keys and the Bahamas his entire life, and loves to introduce new clients to the sport. 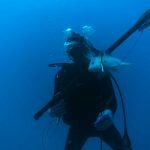 Whether you are an experienced freediver, or trying it for the first time, the thrill of the hunt is as exhilarating as it gets. Give us a call if you have ever wanted to try it. We recommend the shallow reefs for beginners, but for more advanced divers we are happy to take you out into the blue water or deep reefs and wrecks and put you on some trophy fish! If you are a SCUBA diver, there is an extra cost of $200.00 for a Dive Master to be on board. This is for insurance purposes, and cannot be waived no matter what the experience of the diver. 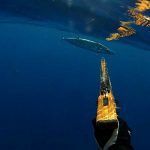 Rates for spearfishing are the same as fishing charter rates. 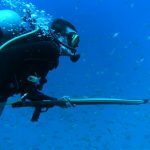 You will have to have your own equipment as well, as we do not offer or rent spearfishing equipment.